James Magnuson is our guest this week. The prolific novelist, playwright & television writer is also Director of the Michener Center for Writers at The University of Texas. Writing On the Air airs Wednesdays from 6-7 pm Central, broadcast from the KOOP Radio studios in Austin, Texas. 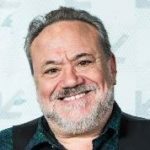 You can hear us on KOOP 91.7FM in Austin and online from anywhere via “Listen Here” above, or visit KOOP.org. We’re also on TuneIn.com. If you’d like to hear previous episodes, we hope you’ll try the search bar, or simply scroll through the shows below. You’ll find the audios on each page, plus our podcasts available on iTunes. For show updates, follow us on Facebook and Twitter. James Magnuson is the Director of the Michener Center for Writers at The University of Texas, and the author of ten novels — among them Without Barbarians, Ghost Dancing, Windfall and The Hounds of Winter — and a dozen plays, which have had production at Playwright’s Horizons, Hudson Guild and St. Peter’s Gate. 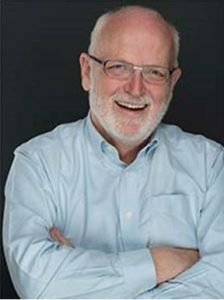 He received the Hodder Fellowship of Princeton University for his plays, a fellowship from the National Endowment for the Arts, and an award from the Texas Institute of Letters for his fiction. His career also includes a stint as a series television writer in Hollywood. 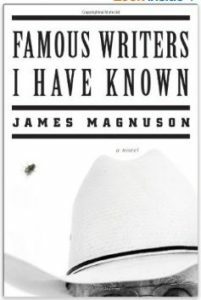 Jim’s newest novel, Famous Writers I Have Known, (Norton, 2014) was an NPR’s Best Book of 2014, and received rave reviews from the New York Times, Washington Post, Boston Globe, Texas Monthly and others. It was awarded the Austin Library Foundation’s Illumine Fiction Award. In addition to serving as director of the Michener Center, Jim teaches creative writing at UT and serves on the faculty of the New Writers Project. For more information, please see JamesMagnuson.com.